(c) the Purchase of HYPOXI services is additionally governed by the Terms and Conditions of Purchase of Services set out in Section 4 below. means the independently owned and managed retail suppliers of HYPOXI Services. means Hypoxi Australia Pty Limited, ACN 114 194 277 of 141 Mountain Highway Wantirna VIC 3152.
means www.hypoxi.com.au and all sub-domains of www.hypoxi.com.au. means the person who accepts these Terms and Conditions by using this Website and associated software, networks and processes, including for the purchase of HYPOXI Products or Services through the Website. Access to this Website is permitted on a temporary basis, and We reserve the right to withdraw or amend the Website, Products or Services, without notice. We will not be liable if for any reason this Website is unavailable at any time or for any period. From time to time, we may restrict access to some parts or all of this Website. You must not misuse this Website. You will not commit or encourage a criminal offence, transmit or distribute a virus, trojan, worm, logic bomb or post any other material which is malicious, technologically harmful, in breach of confidence or in any way offensive or obscene; hack into any aspect of the Service. You will not corrupt data, cause annoyance to other users, infringe upon the rights of any other person’s proprietary rights, send any unsolicited advertising or promotional material, commonly referred to as “spam” or attempt to affect the performance or functionality of any computer facilities of or accessed through this Website. We will report any such breach to the relevant law enforcement authorities and disclose your identity to them. The intellectual property rights in all software and content made available to You on or through this Website remains the property of Us or its licensors and are protected by copyright laws and treaties around the world. All such rights are reserved by Us and our licensors. You may store, print and display the content supplied solely for Your own personal use. You are not permitted to publish, manipulate, distribute or otherwise reproduce, in any format, any of the content or copies of the content supplied to You or which appears on this Website nor may You use any such content in connection with any business or commercial enterprise. You shall not modify, translate, reverse engineer, decompile, disassemble or create derivative works based on any software or accompanying documentation supplied by Us or our licensors. HYPOXI is a trade mark belonging to Hypoxi GmbH. No licence or consent is granted to You to use this mark in any way, and You agree not to use this mark without Our written permission. Where You register for any area of this Website, the following terms and conditions apply. You must provide Us with true and accurate registration information. You must keep any user name and password allocated to You confidential, and We are entitled to assume that anyone using that user name and password is You. We will primarily communicate with You via e-mail. It is Your responsibility to ensure the correct contact details are entered and that Your nominated e-mail address is regularly checked for correspondence. We reserve the right to close an account if You are seen to be using proxy IPs (Internet Protocol addresses) in order to attempt to hide the use of multiple accounts or disrupt any of our services in any way. If You use multiple accounts for the purpose of disrupting Our Website or Blog You may have action taken against all of Your accounts. If You sign into any area of this Website or any other service that uses a single-sign on on a public computer (e.g. at a university, public library etc,) and You do not sign out, someone else who uses that computer after You may be able to access Your account. We therefore advise You to ensure You log out of all services when You have finished using a public computer. Where You access the Website using a mobile device (e.g. a phone or tablet) through a web browser, depending on Your settings You may stay signed on from that device. This means that someone else with access to Your device may be able to access Your account. You should protect the device with a password, and if Your device is lost or stolen, use remote wipe facilities (if available) to clear all personal information on Your device, and change the password for Your account. You agree to indemnify, defend and hold harmless Hypoxi Australia Pty Limited, its directors, officers, employees, consultants, agents, and affiliates, from any and all third party claims, liability, damages and/or costs (including, but not limited to, legal fees) arising from Your use of this Website or Your breach of these Terms of Service. We shall have the right at Our absolute discretion at any time and without notice to amend, remove or vary the Services and/or any page of this Website. If any part of these Terms And Conditions is unenforceable (including any provision in which we exclude our liability to You) the enforceability of any other part of the Terms and Conditions will not be affected all other clauses remaining in full force and effect. So far as possible where any clause/sub-clause or part of a clause/sub-clause can be severed to render the remaining part valid, the clause shall be interpreted accordingly. Alternatively, You agree that the clause shall be rectified and interpreted in such a way that closely resembles the original meaning of the clause/sub-clause as is permitted by law. If You breach these Terms and Conditions and we take no action, we will still be entitled to use Our rights and remedies in any other situation where You breach these conditions. Any waiver of any provision of the Terms and Conditions will be effective only if in writing and signed by one of Our Directors. These Terms and Conditions are to be construed in accordance with the laws of New South Wales and in the event of any dispute or claim associated with these terms and conditions, that dispute or claim shall be subject to the non-exclusive jurisdiction of the New South Wales courts. These Terms and Conditions constitute the entire agreement of the parties and supersede any and all preceding and contemporaneous agreements between You and Us. By placing an order for Products on Our Website You are offering to purchase the Products on and subject to the terms and conditions in this Section 3. In order to contract with Us You must be over 18 years of age and possess a valid credit or debit card issued by a bank acceptable to Us. We retain the right to refuse any order made by You. All weights, dimensions, features and specifications of Products described or depicted on the Website are approximate and are subject to change from time to time without notice. For the avoidance of doubt, we will not materially change the features and specifications of a Product once an Order has been accepted by Us. When You place an order, You will receive an acknowledgement e-mail confirming receipt of Your order. This email will only be an acknowledgement and will not constitute acceptance of Your order. A contract between Us for the purchase of the Products will not be formed until Your payment has been approved and Your credit or debit card has been debited for the full purchase amount. Whilst We try and ensure that all details, descriptions and prices which appear on this Website are accurate, very rarely an error may occur. If We discover an error in the price of any Products which You have ordered we will inform You of this as soon as possible and give You the option of reconfirming Your order at the correct price or cancelling it. If We are unable to contact You we will treat the order as cancelled. If You cancel and You have already paid for the Products, You will receive a full refund. Where applicable, prices are inclusive of GST. All prices listed on the Website exclude Delivery Costs. Delivery Costs are shown separately on an Order and included in the ‘Total Cost’. Upon receiving Your order We carry out a standard pre-authorisation check on Your payment card to ensure there are sufficient funds to fulfil the transaction. Products will not be dispatched until this pre-authorisation check has been completed. Your card will be debited once the order has been accepted. When placing an order You undertake that all details You provide to us are true and accurate, that You are an authorised user of the credit or debit card used to place Your order and that there are sufficient funds to cover the cost of the Products. Delivery is charged at a flat rate of $AUD14.80 (inc GST) for all deliveries within Australia. Delivery time frames are in accordance with Australia Post’s Express Post service for domestic deliveries. Dispatch times may vary according to availability and any representations made as to indicative delivery times are limited to Australia and subject to any delays resulting from postal delays or force majeure for which we will not be responsible. We do not accept any liability for loss or damage suffered by anyone as a result of any such delays. Where You have provided an incorrect or incomplete delivery address for Your Order, We may charge a redelivery fee for each subsequent delivery attempt. We may from time to time offer discount codes which may apply in respect of any, or certain specified, purchases of Products made though this Website by all or certain classes of purchasers. Unless expressly stated otherwise in writing, only one discount code can be applied per order. A discount code cannot be applied after an order for Products has been placed. Delivery costs will be charged in addition and are not subject to the application of the discount code. Such additional charges are clearly displayed where applicable and included in the ‘Total Cost’. Any further conditions of use relating to any discount code will be specified at the time of issue. Our Products may come with guarantees that cannot be excluded under the Australian Consumer Law. You may be entitled to a replacement or refund for a major failure under the legislation. You also may be entitled to have the Products repaired or replaced if the Products fail to be of acceptable quality and the failure does not amount to a major failure. If You think that there is a fault with the Products You have received, please let us know straight away by contacting our Customer Care Team at [email protected]. Please include as many details as possible about the order and the problem with the Products. In addition to Your rights in relation to faulty Products, You can exchange any Product within 14 days of receipt if you require a different size. Please Our Customer Care Team at [email protected] before sending the Products back for exchange, setting out your order details and requesting an alternate size. If You return the Product in exchange for a different size, the Product returned must be in its original condition, which includes any packaging. All Products will be inspected on return. Please ensure that you include your full name and original order number on the return envelope. Unfortunately, we do not accept exchanges or give refunds in any other circumstances, such as if You change Your mind. This section applies to the return of all Products, regardless of whether they are faulty or You need a different size. You are responsible for the costs of returning Products to us. Any Products returned are Your responsibility until they reach our warehouse. Please ensure You package Your return to prevent any damage to the Products or packaging. We are not responsible for any Products that are returned to us in error. All express or implied guarantees, warranties, representations, or other terms and conditions relating to these Terms and Conditions of Purchase of Products or their subject matter, not contained in these Terms and Conditions of Purchase of Products, are excluded from these Terms and Conditions of Purchase of Products to the maximum extent permitted by law. Nothing in these Terms and Conditions of Purchase of Products excludes, restricts or modifies any right or remedy, or any guarantee, warranty or other term or condition, implied or imposed by any legislation which cannot lawfully be excluded or limited. This may include the Australian Consumer Law which contains guarantees that protect the purchasers of Products in certain circumstances. In particular our Products may come with guarantees that cannot be excluded under the Australian Consumer Law. You may be entitled to a replacement or refund for a major failure and compensation for any other reasonably foreseeable loss or damage. You also may be entitled to have the Products repaired or replaced if the Products fail to be of acceptable quality and the failure does not amount to a major failure. (e) the payment of the cost of having the Products repaired. whether in contract, tort (including negligence), in equity, under statute, under an indemnity, based on fundamental breach or breach of a fundamental term or on any other basis, whether or not such loss or damage was foreseeable and even if advised of the possibility of the loss or damage. By placing an order for Services on Our Website You are offering to purchase the Services from the nominated Hypoxi Operator on and subject to the terms and conditions in this Section 4. In order to contract with a Hypoxi Operator for the purchase of Services You must be over 18 years of age and possess a valid credit or debit card issued by a bank acceptable to Us. The nominated Hypoxi Operator retains the right to refuse any order made by You. When You place an order for Services at a nominated Hypoxi Operator, You will receive an acknowledgement e-mail confirming receipt of Your order from the nominated Hypoxi Operator. This email will only be an acknowledgement and will not constitute acceptance of Your order. A contract between You and the Hypoxi Operator for the purchase of the Services will not be formed until Your payment has been approved and Your credit or debit card has been debited for the full purchase amount. Upon receiving Your order the Hypoxi Operator carries out a standard pre-authorisation check on Your payment card to ensure there are sufficient funds to fulfill the transaction. Services will not be provided until this pre-authorisation check has been completed. Your card will be debited once the order has been accepted. When placing an order You undertake that all details You provide to the nominated Hypoxi Operator are true and accurate, that You are an authorised user of the credit or debit card used to place Your order and that there are sufficient funds to cover the cost of the Services. By placing an order for the purchase of Services from a Hypoxi Operator, you acknowledge that the nominated Hypoxi Operator is independently owned and managed and is not a subsidiary, affiliate or agent of Hypoxi Australia Pty Limited. 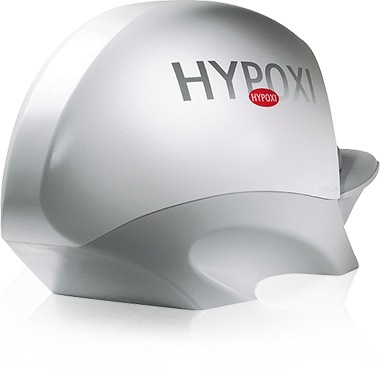 Each Hypoxi Operator has its own policies around the provision of Services, a copy of which can be provided on request at the time of booking your first Hypoxi Service at the nominated Hypoxi Operator. Subject to clause 4.6, Services must be redeemed by You or the person nominated on the gift voucher and cannot be transferred to a third party. All Services purchased via Our Website expire 12 months after the date of purchase. Hypoxi is a recreational service and Your health and safety is paramount to Us and all Hypoxi Operators. If You purchase Services from Our Website for yourself, You will be required to complete a Hypoxi Training Client Information Form before You commence Hypoxi Services. If the nominated Hypoxi Operator identifies any health reason why You should not undertake Hypoxi Services, it may at its sole discretion refuse to provide You with the Services and offer You a refund. During use of the Services, please monitor Your physical condition at all times and do not exert Yourself beyond a level that is appropriate given Your knowledge of Your health and any medical advice you have obtained. If any unusual symptoms occur immediately stop what you are doing and notify your nominated Hypoxi Operator employee. Gift vouchers are only valid for a period of 12 months from the date of purchase and must be used in full by the date shown on the voucher. Please ensure the recipient checks the gift voucher to find out when to use it by. The gift voucher can be only be redeemed for the Services stated on the gift voucher and cannot be redeemed for merchandise or cash. The nominated Hypoxi Operator will despatch Your gift voucher as soon as You respond to the confirmation email with the recipient’s details and delivery instructions. Please double check the delivery address You provide your nominated Hypoxi Operator as it is Your responsibility to ensure it is accurate. The nominated Hypoxi Operator is not responsible if a gift voucher is used by someone other than Your intended recipient. Make sure Your intended recipient has received their gift voucher, as it is their responsibility to keep the voucher details safe. Hypoxi Operators are not responsible for any delays in delivery of the gift voucher, irrespective of how they are caused. Hypoxi Operators cannot accept any responsibility for stolen or deleted gift vouchers. Unfortunately lost, stolen or destroyed gift vouchers will not be refunded or replaced. All gift voucher holders will be required to complete a Client Information Form before they commence Hypoxi Services. If the nominated Hypoxi Operator identifies any health reason why the gift voucher holder should not undertake Hypoxi Services, it may at its sole discretion refuse to provide the gift voucher holder with the Services and offer You a refund. Gift voucher holders undertaking Services must monitor their physical condition at all times and not exert themselves beyond a level that is appropriate given their knowledge of their health and any medical advice they have obtained. If any unusual symptoms occur immediately they must stop what they are doing and notify their nominated Hypoxi Operator employee. As set out in clauses 4.6 and 4.7 respectively, You may be entitled to a refund if the nominated Hypoxi Operator determines at its discretion that it is not safe for You or the gift recipient intending to redeem the Services to undertake Hypoxi Services. In all other circumstances other than those imposed under Australian Consumer Law (or the Fair Trading Act 1986 (NZ) in the case of New Zealand purchases of Services), the nominated Hypoxi Operator is not obliged to refund You for unwanted or unused Services. All express or implied guarantees, warranties, representations, or other terms and conditions relating to these Terms and Conditions of Purchase of Services or their subject matter, not contained in these Terms and Conditions of Purchase of Services, are excluded from these Terms and Conditions of Purchase of Services to the maximum extent permitted by law. Nothing in these Terms and Conditions of Purchase of Services excludes, restricts or modifies any right or remedy, or any guarantee, warranty or other term or condition, implied or imposed by any legislation which cannot lawfully be excluded or limited. This may include the Australian Consumer Law (or the Fair Trading Act 1986 (NZ) in the case of New Zealand purchases of Services) which contains guarantees that protect the purchasers of Services in certain circumstances. If any guarantee, warranty, term or condition is implied or imposed in relation to these Terms and Conditions of Purchase of Services under the Australian Consumer Law (or the Fair Trading Act 1986 (NZ) in the case of New Zealand purchases of Services) or any other applicable legislation and cannot be excluded (a “Non-Excludable Provision”), and We or the nominated Hypoxi Operator is able to limit the remedy for a breach of the Non-Excludable Provision, then Our or their liability for breach of the Non-Excludable Provision in the case of services, will be the supplying of the services again, or the payment of the cost of having the services supplied again.